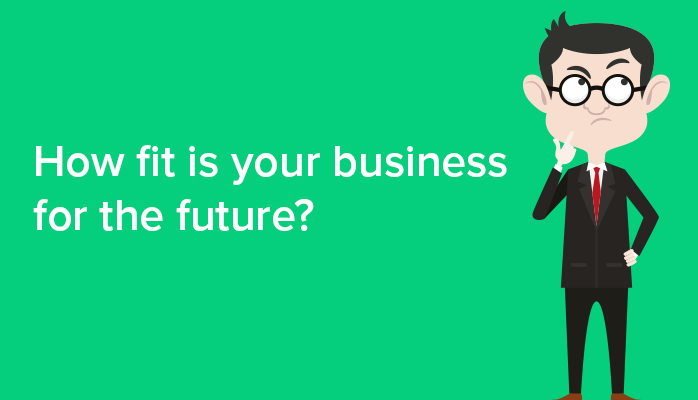 Business Health Checks: how fit is your business for the future? We’ve all heard the old adage ‘prevention is better than cure’. It’s usually used in relation to our health. But it can just as easily be applied to the health of your business. Surely it’s better to treat those niggling issues before they become bigger problems that are going to be much more difficult, and costly, to fix? That’s why we recommend all businesses should consider a business improvement health check every few years. A business health check seeks to answer one big question: how fit for the future is your business? It’s a chance to take a step back from the day-to-day running of your organisation and look at it with fresh eyes. It asks you to answer key questions about your business, looking at different aspects of current performance and, critically, the factors that determine future success. By looking at your people and culture, resources, sales and marketing, operations, finance and innovation, a business health check highlights areas of strength but also potential weakness. It identifies areas for improvement, giving you the opportunity to close any cracks before they threaten the very success of your business. There are various online tools which pertain to offer a free business health check. The main problems with these is that they usually only take into account one person’s view and lack any sort of context. They rely on an element of self-diagnosis. And anyone who’s ever Googled ‘headache’ should know how dangerous and unreliable self-diagnosis can be! A business health check only offers real value when it considers more than one person’s views within the specific context of that business and the environment in which it operates. Honesty is another vital ingredient! We’re all guilty of spending our time working in our business rather than on our business. We work day-to-day to deliver against targets and customer expectations. Having the time to look at the wider context and to think about potential improvements is all too often a luxury that rarely makes it to the top of our ‘to do’ list. But for a business to really thrive and stay ahead of its competitors in the long run, continuous improvement should be part of your business’ DNA. Let’s use a quick analogy to demonstrate. Modern medical advances have meant that regular screening programmes for certain types of cancer have seen survival rates improve dramatically. Any potential issues are diagnosed at an early stage, giving the opportunity for treatment and intervention before things have advanced too far. Whilst we can’t pretend that a business health check is on the same scale as life-saving interventions, similar logic applies. If you regularly asses the health of your business, you can spot any potential problems early and act before they become critical. Taking action early is likely to save you money. Indeed, by regularly questioning and improving your processes, your business is likely to become measurably more successful. Why should you involve me? If we want to get our health checked, the sensible thing is to go and see a doctor because they’re an expert in their field. Similarly, if you want to get the health of your business checked, the sensible thing is to consult an expert! Calling someone in to help isn’t a sign of weakness. It’s simply acknowledging that you can benefit from some professional advice – two heads, as they say, are better than one! When you’ve worked within a business for a while, it’s easy to overlook a threat or miss an opportunity to add value because you’re simply too close. I provide clarity and balance. And a lot of experience. With over 25 years’ senior management experience in technical innovation, lean operations and customer excellence, I’ve got a lot of knowledge that I can apply to your business. You can take advantage of that to learn how to do things better based on real-life examples. At the end of our business health check I will supply you with constructive feedback for discussion and review. It will identify strengths but almost certainly provide opportunities and solutions for growth. My business health check isn’t a threat to you or your business. It’s not about pointing a finger and blaming people for things that aren’t working quite as well as they might. It’s about taking a positive step on a continuous improvement journey, however you choose to progress it. Could your business benefit from an external, balanced health check? And do you have a willingness to change? If so please feel free to call me for an initial chat, at absolutely no cost, to find out more.